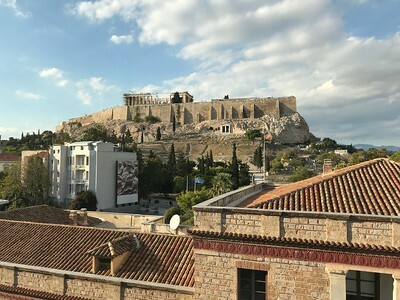 Mark Phillips' Pages: Photography: Diary: 2017.10.10, Athens, Greece. 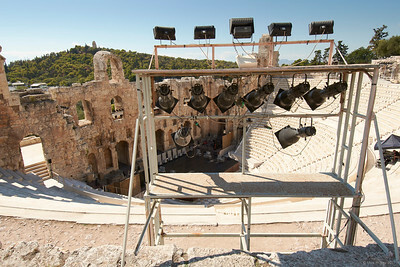 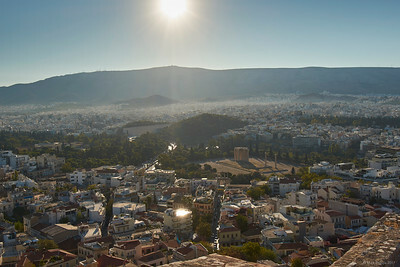 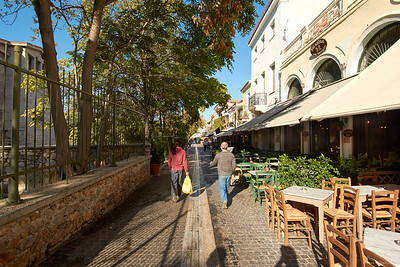 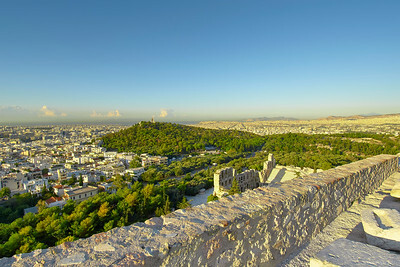 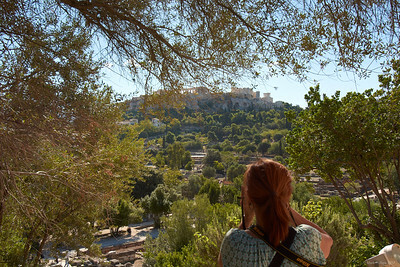 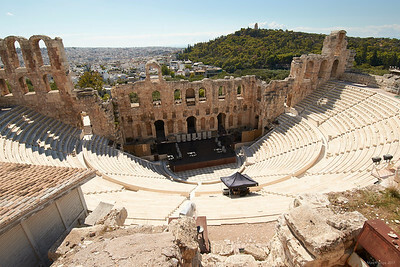 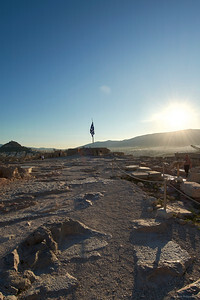 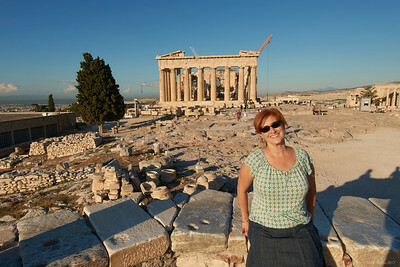 Acropolis day. 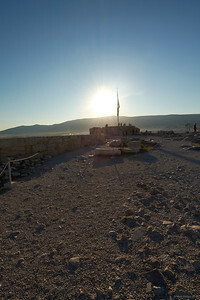 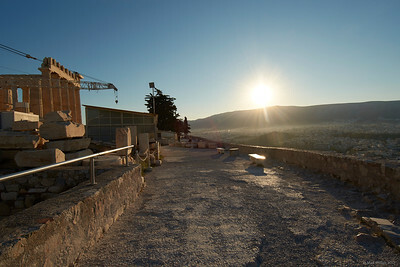 Up the hill at opening hour, spectacular in the sunrise and thankfully devoid of hordes. 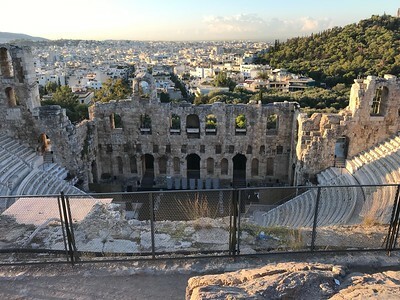 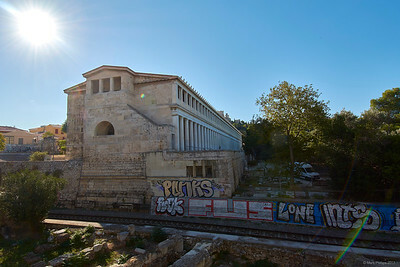 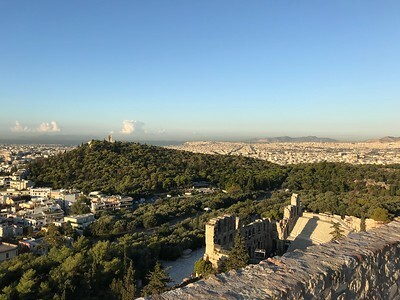 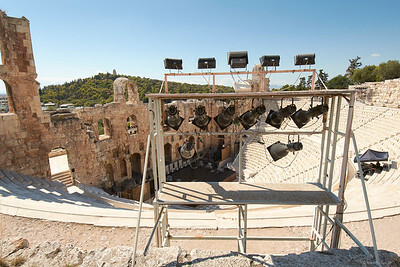 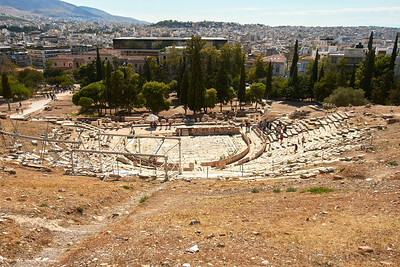 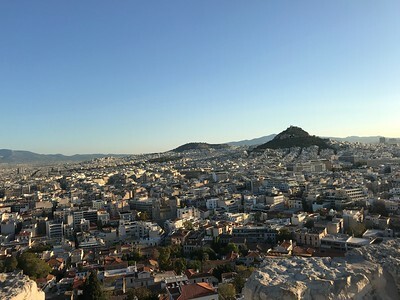 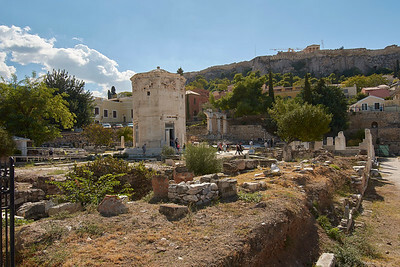 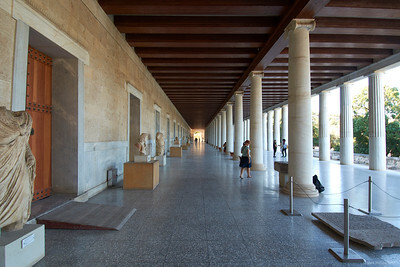 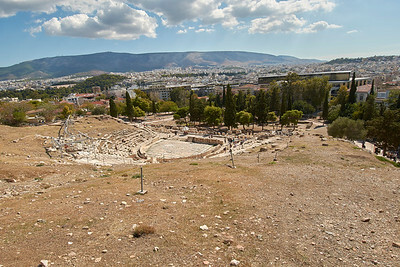 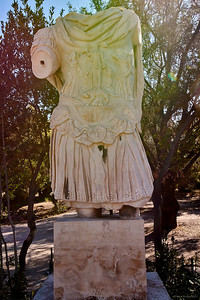 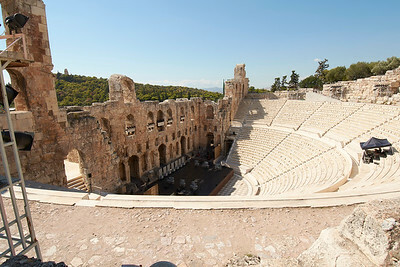 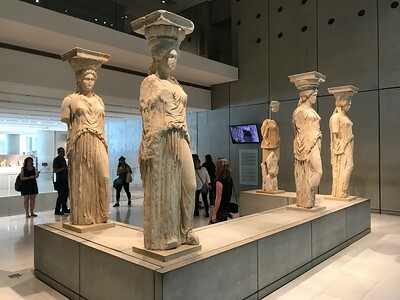 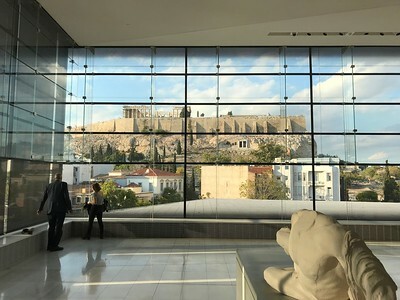 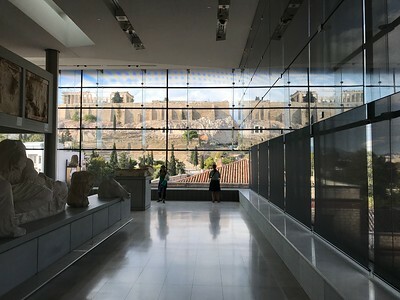 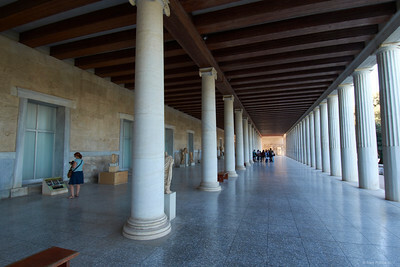 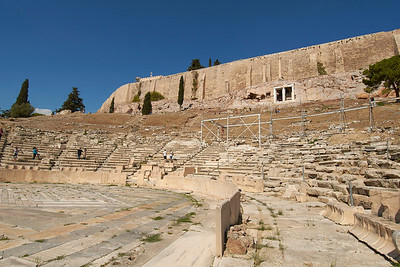 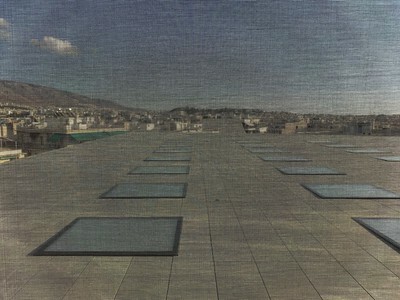 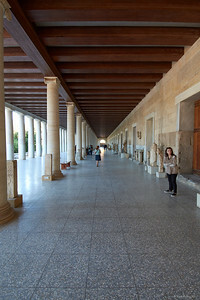 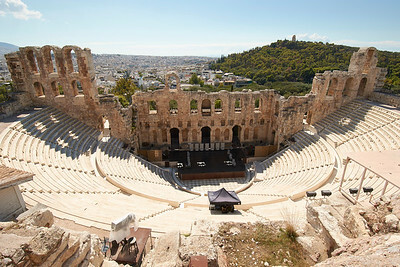 To the Areopagus; the Agora; around the hill to the Theater of Dionysus and the Roman Odeon of Herodes Atticus; finally a couple of hours in the striking new Acropolis Museum. 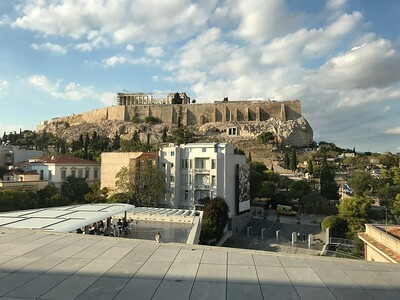 Ended the day with our first visit to Arcadia Restaurant, which thanks to its friendly and hilarious waiters became our dinner café of choice in Athens. 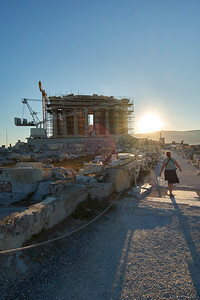 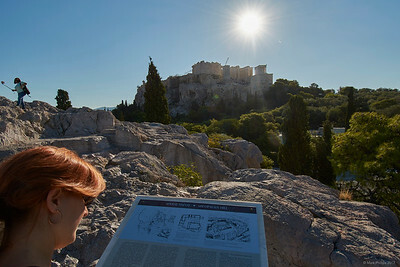 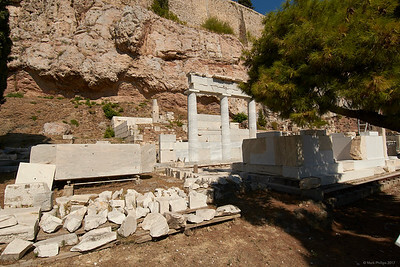 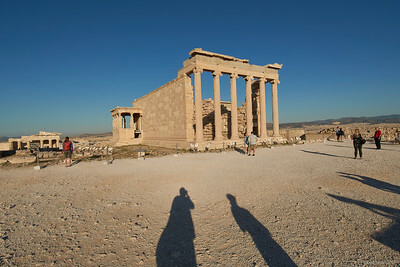 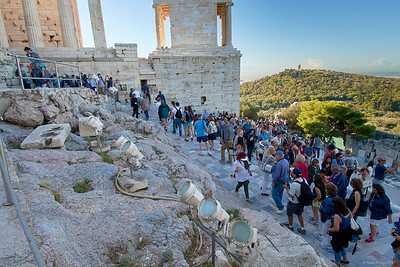 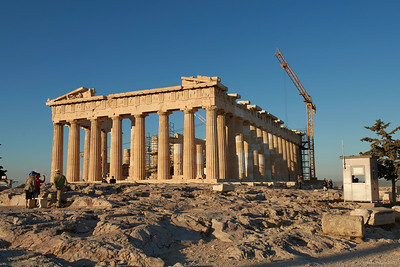 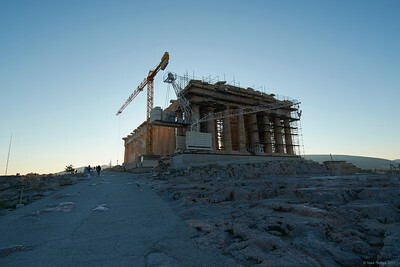 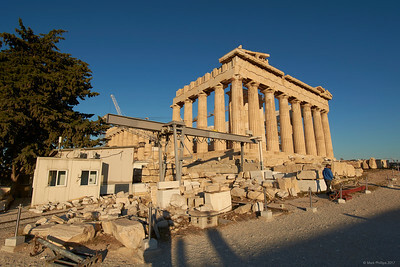 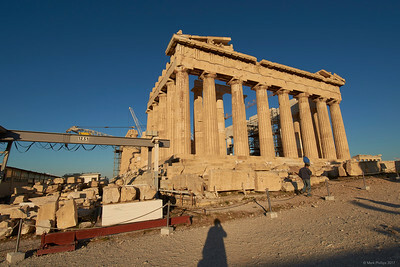 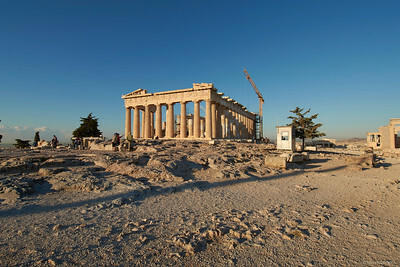 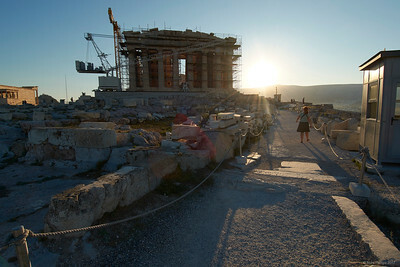 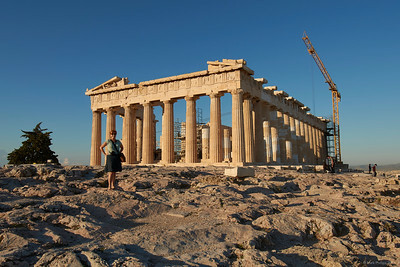 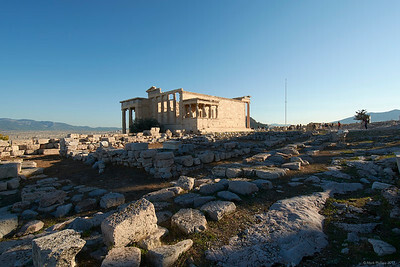 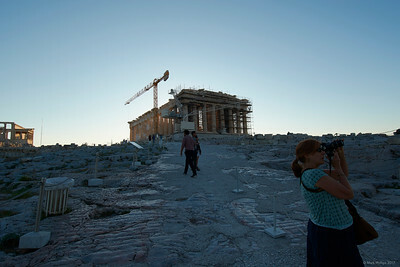 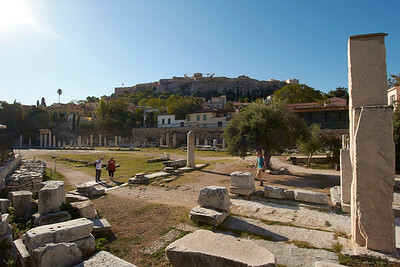 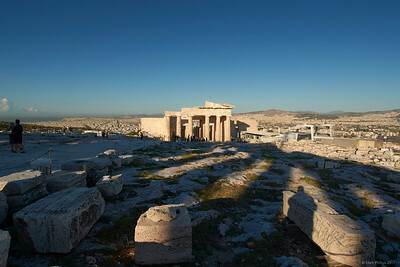 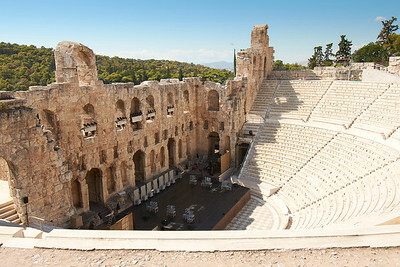 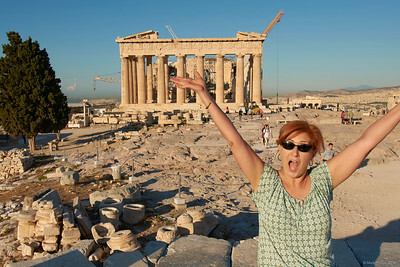 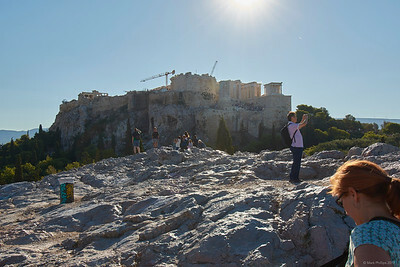 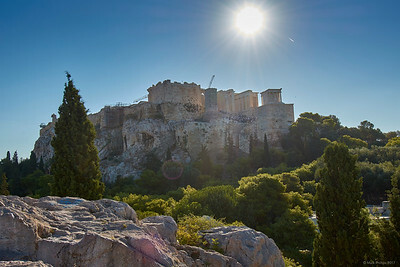 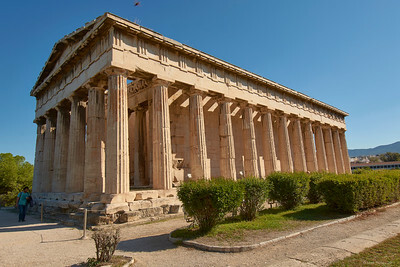 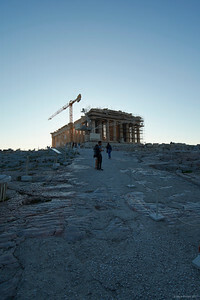 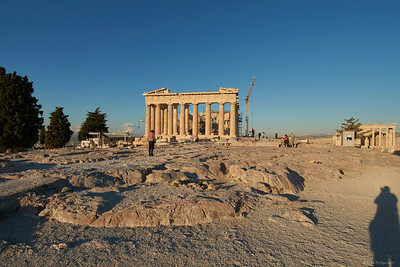 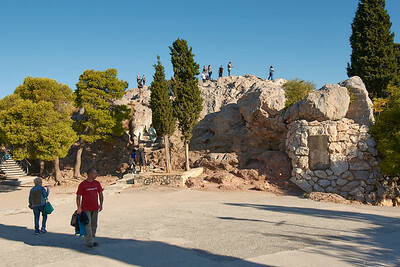 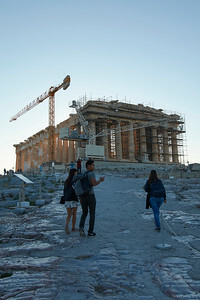 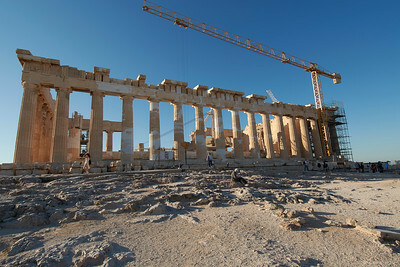 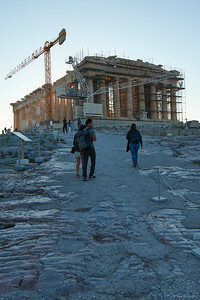 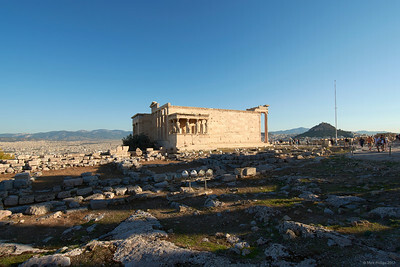 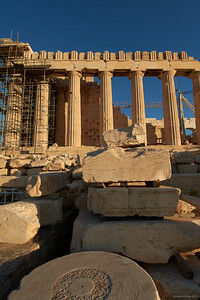 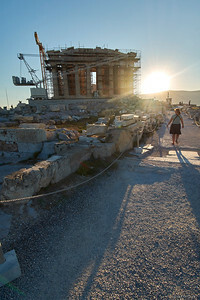 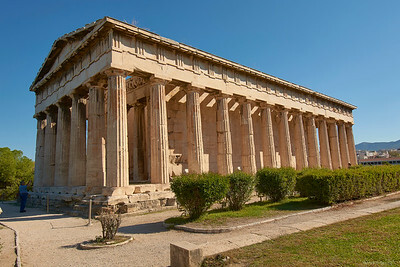 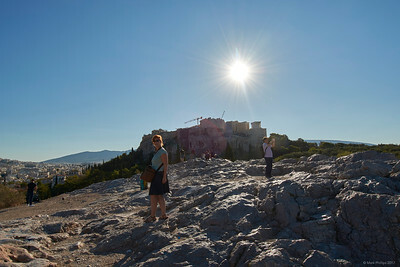 Word of advice: be in line for the Acropolis as it opens. 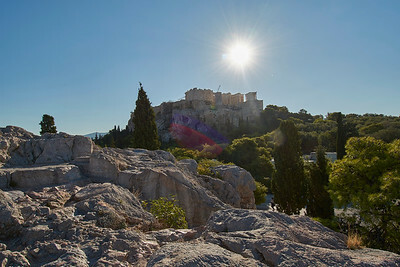 You'll beat the hordes, and, trust me, you want to.